“Yet another Encyclopedia of Philosophy..?” The surprise expressed in this question is not at all surprising in the wake of so many Encyclopedias of Philosophy on display. There is no dearth of Encyclopedias of philosophy; but ACPI Encyclopedia of Philosophy (AEP) has its specificity, justifying and necessitating its existence. By way of introduction, the editorial board would like to lead the readers into (introduce: intro + ducere) the ‘that’ (I)—the story of arriving at this peak—the ‘why’ (II)—the reason for its existence—the ‘how’ (III)—its specificity and uniqueness—and the ‘what’ (IV)—a pre-view of what is there in store—of this AEP. ‘That something is!’ This should engender, according to Heidegger, philosophical wonder in the humans. Now that the ACPI Encyclopedia of Philosophy (AEP) is, we give thought to the wonder—‘that it is!’ AEP was only a possibility, a dream. The reality of AEP is the result of a concerted dream of so many. From this point of a great dream realized, we can look back to the story of the dream and the dreamers behind this realized dream; and it is nothing other than the story of ACPI. As this story with its various events and persons is unfolded on the screen of memory we see its gradual and steady growth of thirty-five years through several stages. The first stage refers to the birth and the initial years of ACPI. It was conceived in 1975 in Delhi and born in 1976 at Aluva (Kerala) under the guidance of late Prof. Richard De Smet, SJ and with the initiative of Dr. Albert Nambiaparambil, CMI, and they functioned as the its President and Secretary respectively during the initial years. This informal movement gradually gathered momentum through its annual meetings, presentations of short papers and discussions. In 1989 ACPI was registered as a Society through the efforts of Dr. Varghese Manimala, OFMCap, when he was its Secretary; and ACPI got a formal look in its functioning and administration. From 1994 to 2000 Dr. Joe Mannath, SDB, was its President, who together with the then ACPI Secretary, Dr. Dominic Vas, OCD, kept up the momentum with regular General Body Meetings during which research-papers on some relevant themes of philosophical importance were presented and discussed. Dr. Johnson Puthenpurackal, OFMCap, on becoming the ACPI President in 2000, took the initiative of starting the ACPI Publications; by 2010 eleven books on different themes of socio-philosophical relevance have already been published in the ‘ACPI Philosophy Series.’ It was a significant stage of growth in the life of ACPI. With the starting of the publication of ACPI books in 2002, the academic rigour and standard of the papers presented at the annual meetings and the number of participants have considerably increased. Members began to consider it a privilege to present papers at the ACPI meeting. In 2002 Dr. George Panthanmackel, MSFS, became the Secretary, and in 2006, the President of ACPI with Dr. Puthenpurackal as its Secretary. 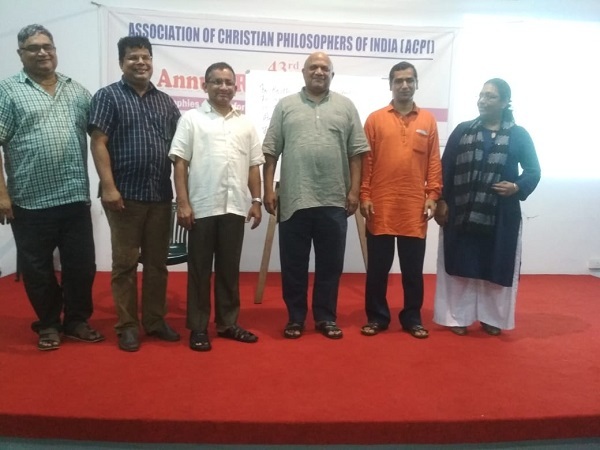 Their efforts, with the whole-hearted cooperation and support of the members of ACPI and of the Executive Committee have brought ACPI to the present stage, characterized by its entry into Indian Christian Philosophizing. It started with an ACPI seminar in 2003 on “Philosophical Methods,” in view of evolving a relevant method for Indian Christian Philosophizing with the help of an in-depth study of the prevalent ones. Since then ACPI has been collectively convinced of the need to philosophize with a difference as Indian Christians. A concerted effort towards this end is made in the papers presented at the annual meetings thereafter. This is the motivating force that prompted ACPI to launch the ambitious project of the ACPI Encyclopedia of Philosophy. Why do we need today another Encyclopedia of Philosophy? Are there sufficient ‘reasons’ that can justify the enormous amount of time and energy spent towards the realization of this project? ACPI Encyclopedia of Philosophy (AEP) is an undertaking by the ‘Association of Christian Philosophers of India’ (ACPI). As mentioned above, ACPI during the past thirty-five years has been gradually making progress. In this process of growth it has been showing signs of maturity in philosophizing; these signs were seen in various areas and forms—in philosophical discussions, research, presentation of papers, publications, etc. AEP is to be seen as the natural outcome of the growth of ACPI. The momentum has been on an upbeat note, and ACPI could not but let AEP come through. This, perhaps, is the most compelling ‘why’ of AEP—the reason that kept on pushing ACPI towards AEP. There is yet another reason that necessitated the birth of AEP. In the contemporary period philosophy is increasingly becoming a ‘rooted’ philosophizing; gone are the days when philosophy used to be confined to the ideal realm, untouched by time and space. It is generally considered today that philosophizing has to be from the existential situations of the humans. This changed perspective motivated ACPI to channelize its research potential towards philosophizing on questions of social relevance. After having travelled along this path for some time, ACPI was collectively convinced of the possibility and necessity of pooling its philosophizing into a unified whole in an Encyclopedia. 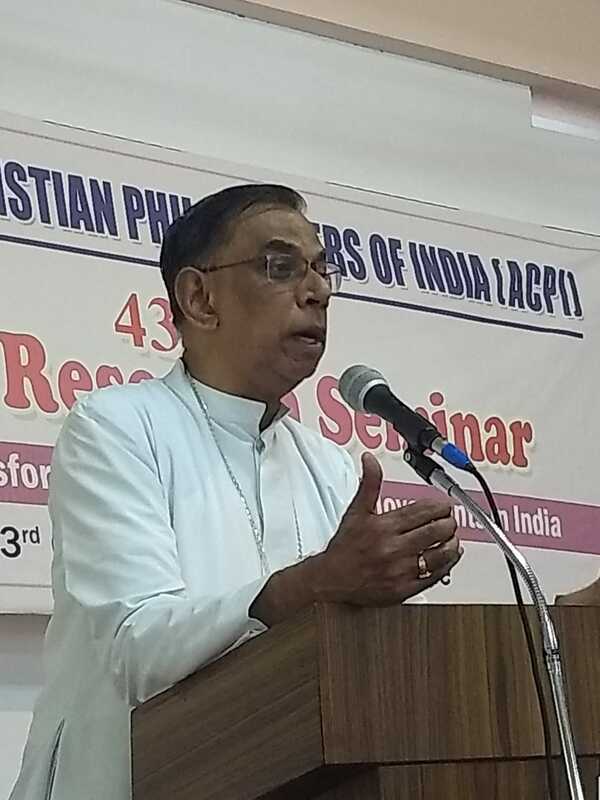 ‘Association of Christian Philosophers of India’ (ACPI) has a twofold ontological givenness: Indianness and Christianness. In order to be ‘rooted’ in its philosophizing, ACPI has to carry it out primarily as Indians and Christians; the various other existential and concrete situations—the ontic givenness—are to hold on to the ontological. Although Christianity and Philosophy in India are as old as anywhere else, they have been travelling for the last two millennia in parted ways. There have been Indians who were philosophers, philosophers who were Christians, Christians who were Indians…but an Indian Christian Philosophizing remains still a dream to be realized. The AEP is a humble attempt towards the realization of this dream. If the AEP can claim that it is an Encyclopedia with a difference, it is because of its specific ‘how.’ This difference or specificity consists in the way the entries are chosen and presented. In choosing and presenting the various entries special care has been taken that they be based on the twofold rootedness of Indianness and Christianness, and inspired by other existential criteria—that ACPI considers as urgent and relevant—such as priority of the subaltern perspective, reminder of social responsibility, acceptance of regional thinking, respect for religious affiliations, openness to scientific progress, specificity of Indian Christian ethos, hope for cosmic peace and unity, hierarchical equality of all thought-patterns, philosophical humility of postmodernism, and finally, a plea for a philosophy of complementarity. All these dimensions explicitly or implicitly have played a role in the choice and the shaping of the various entries, as a result of which some of the entries of the AEP will not be found in most of the other Encyclopedias. There is a ‘philosophy’ implicitly enshrined in this AEP—a philosophy that weaves together the above-mentioned existential criteria, a philosophy that speaks the ‘language’ of our familiarity, a philosophy that passionately discusses questions that touch the core of our being, a philosophy that feels the pulse of the subalterns, a philosophy that is open to today’s scientific growth, a philosophy that does not jump into absolute claims, a philosophy that acknowledges the value of moral values, a philosophy that sees the varieties as mutually complementary, and finally a philosophy that accepts some religious transcendence. In compliance with these philosophical criteria, AEP considers the various themes from the Indian Christian platform, extending its philosophizing to the larger horizon of the various regions and religions of the world. That is why in the choice of themes greater focus is on those of Indian and Christian relevance. The ‘focus’ does not narrow down the approach, rather it opens out to themes from almost all the regions and religions of the world, and from all schools and approaches in philosophy. 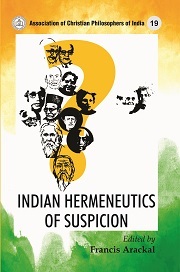 In reaching out to everyone and everywhere, the philosophizing in AEP has given special importance to the subaltern perspective, as their cause has a compelling priority in the Indian Christian ethos. Thus AEP makes a plea for a ‘cosmic philosophy of complementarity,’ based on the principles: ‘everyone is someone, no one is no one’ and ‘nobody has everything, everybody has something.’ Such a philosophy is like a garden of unity and variety: a garden of varieties of plants and flowers constituting one whole, without levelling down the different to one’s level. When each of the various patterns of thought sees the others as complementing and enriching one another, there exists a unity of symphony—varieties of sounds making a beautiful piece of music! The ACPI Encyclopedia of Philosophy (AEP) consists of 422 entries on different themes, written by 236 writers of different backgrounds—philosophical, religious, linguistic and cultural. The entries are classified into five groups of differing importance. The length of each entry depends on the importance assigned to it. Except those entries that are expected to be mere notional clarifications, all the rest are given a bibliography as well. Most of the themes are looked at both from the Indian and the Western perspectives, except those that are exclusively of one or the other perspective. But important themes are given separate entries for the Indian as well as for the Western perspectives. Thus as far as possible, AEP does not give any preference for the Indian or the Western. As hinted at above, the various perspectives are given as ‘small stories;’ thus we have a plurality of ‘small stories,’ a plurality of approaches to reality. All these ‘small stories’ are different from one another. The emphasis of philosophy today is shifted from a universal rationality to a local rationality. With the equally placed different approaches, we have different perspectives on reality, without any priority or superiority; they are in a ‘play’ of difference, where every ‘player’ is different from one another, and no ‘player’ is superior to any other. The scenario of world-view is but a play of difference, a play of pluralism. Such a ‘play of pluralism’ is at play in the AEP. It is with a sense of satisfaction that I, on behalf of the editorial board, introduce the ACPI Encyclopedia of Philosophy to the philosophical world with the hope that it will trigger more of the research-potential in the growing thinkers and philosophers of India and elsewhere. It is ‘a small step,’ but it has the potential to be ‘a giant leap!’ Taking the first step, however small it might be, is the most difficult step. Since that ‘difficult step’ is taken, we can be reasonably sure that further steps in philosophizing with a difference will follow in the future. 1) The different themes are reflected on and written about by different writers with their own specificities. Hence no uniformity can be expected among the various entries. However, attempt is made to keep some uniformity in areas where it is possible, like use of inclusive language, punctuations, style in bibliographical entries, etc. But each writer is responsible for the content, style, language and exhaustiveness of one’s article. 2) When no specification is given along with the numeral of the year, it has to be understood as CE (Common Era). 3) Proper names are not given the diacritical marks in this AEP.